What do you do when you’re faced with temptation? I was (nearly) faced with temptation this weekend. Why nearly? Well I knew it was ahead. I went back to university for the weekend; attending a course which was an intense 2 days. I know, that doesn’t sound very tempting. But heavy brain work uses glucose (sugar) and when blood sugar levels drop, if not prepared, then sugar cravings kick in to get the body to eat so we keep our energy levels up. Oh and of course then there’s the coffee to help keep focused and awake…which has a similar effect to blood sugar level drops – cravings and energy dips! All this plays havoc with your hormones! 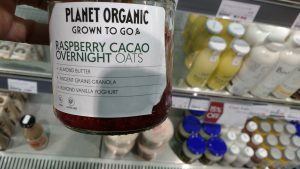 Oh and did I mention that one of my favourite shops is just around the corner to the university…Planet Organic! 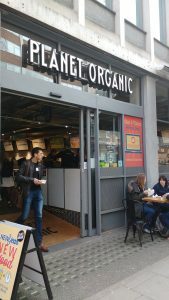 It sells some wonderful prepared snacks/lunches, it sells organic veg, supplements, drinks, health products, some delicious deserts and cakes made with natural ingredients, hot food, smoothies, juices! For me it’s like being a child in a sweety shop! So what’s the problem? Just because a cake or lunch says it’s organic it doesn’t necessary mean it’s a healthy balance of macro nutrients or calories (if choosing to count!) and if you’re wanting to keep your food in check to keep your hormones in check (like I am!) then choices need to be made. I would definitely have been able to find something that was super delicious and suited my chosen nutrients, but it’s expensive and I’d already spent my budget on the course and the train fare. So either way, too much temptation for me! The evening before I made a jar of bircher muesli for my breakfast and a pot of salmon and boiled egg salad for lunch. I also took a handful of nuts and a pear to eat if I needed a snack. As for the shop…I could have chosen not to go in. But instead I prepared my mind beforehand that I wasn’t going to buy anything, I was going to do a research shop. That’s similar to window shopping,..just checking things out. My sister-in-law once told me she would keep her hands in her pockets when she didn’t want to buy anything – and I believe this works – you’re not tempted to touch things and it’s another way of reminding yourself that you’re just looking. 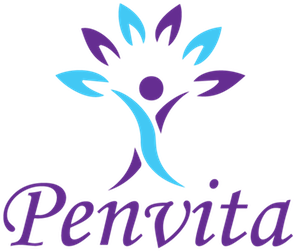 …it worked; I didn’t buy anything but did get some lovely ideas to try out and possibly include in the next online health and weightloss programme. So the next time you know you will be tempted, prepare yourself and decide what you are going to do. You may choose to have 1 piece of cake/biscuit. You may choose to skip the starters or replace the chips for a salad so you can have a desert. There are always options. Make your choices.